S o here we are again, 6th January: the day we have to take the decorations down (boo). 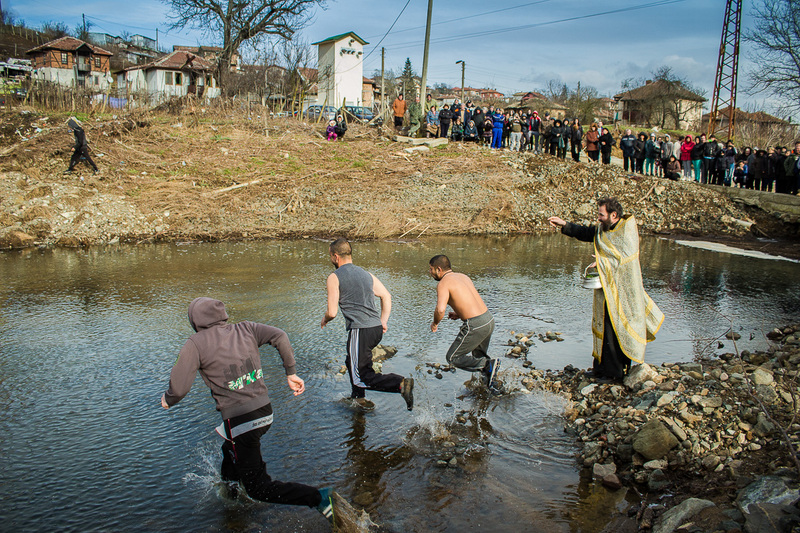 It’s also Jordanov Den, where the Bulgarian Orthodox calendar encourages semi-naked boys to leap into the river to try and catch a cross that has just been blessed by a priest. Now that’s certainly something to take a girl’s mind off the fact that today’s low is reported to be somewhere around -8 Celsius. We also had the feeling that the priest was looking a bit shifty – but that could have been something to do with him being a bit late. 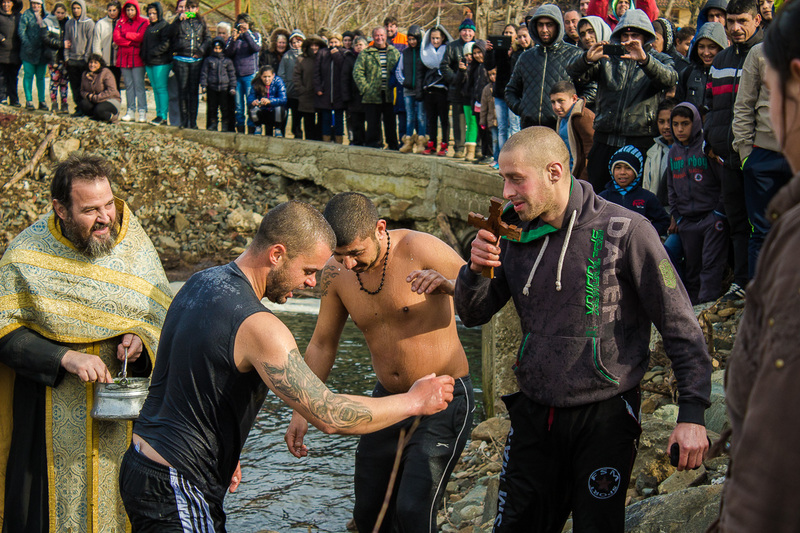 Still, this is Bulgaria, and nothing surprises us now. We had spent the first few days of 2015 in the apartment working on the kitchen and second hand shopping (I’ll leave you to guess which of us was busy with what) so left the NovoP house to its own devices for a few days. BIG MISTAKE. On our return to the village, no water was coming out of the taps – something had frozen in the garden somewhere. It wasn’t clear where exactly – somewhere before it got to our water meter we think, so we had to just sit it out. In the meantime we still had to wash hands, wipe surfaces, clean teeth, wash up, go to the loo and ….well, you know – flush. On one walk with the dog, Jeremy actually scooped a bucket of water from the river for flushing purposes. Seriously disgusting. Well, it finally came back on THIRTY-TWO HOURS after we had come back. What we have learnt? Be thankful for running water – even if it is chilly. Having said that, I still can’t be persuaded to jump into icy depths, today – kismet or not. Love the title of that last picture!